Kanye West has been causing a storm of controversy over the last week, from his tweets stating ‘Bill Cosby is innocent’ to pretty much crediting himself with Taylor Swift’s entire career, the man really does know how to cause a stir. We wonder then, how much money changed hands between himself and the guys at Tidal? 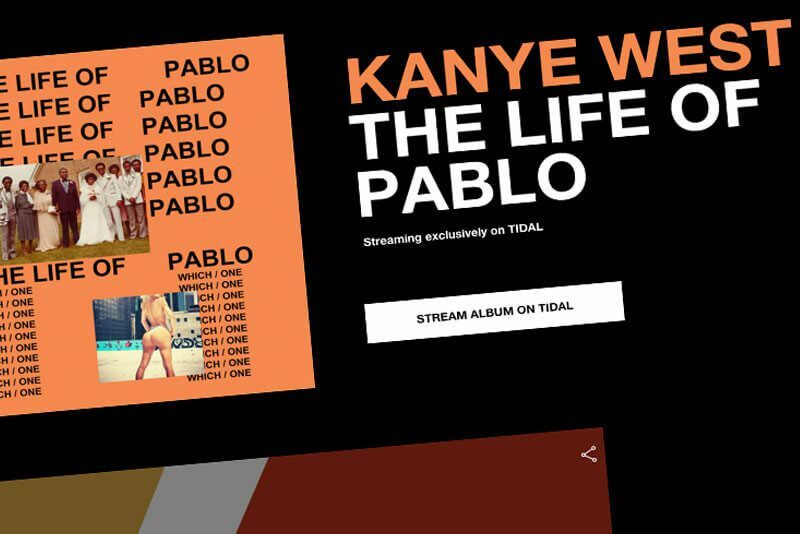 He’s seemingly done everything he possibly can over the last week to grab the headlines and then revealed that his new album ‘The Life of Pablo’ will be exclusively streamed on there for the first week of it’s release. Some pretty neat marketing! The music streaming platform has now jumped to no.1 in the app download charts, although it remains to be seen how many users will stay with the platform once their 30-day free trial ends and they have to shell out the subscription costs. So far, Tidal has failed to set the world alight despite backing from Alicia Keys, Arcade Fire, Rihanna and Beyonce and being headed by Jay Z. The music streaming apps from Spotify and Apple Music still dominate the market, but perhaps with clever exclusive release campaigns with major artists such as with Kanye this week – there’s hope for Tidal yet.